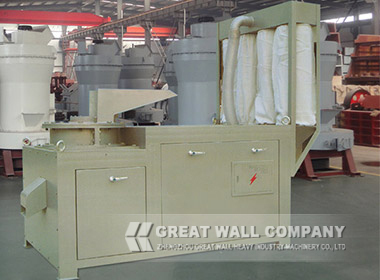 TWP efficient fine crusher is a newly developed fine crushing equipment for special materials, which is developed by our company. TWP efficient fine crusher adopts the most advanced crushing technology of both domestic and abroad with the features of unique structure, high efficiency and energy saving. And this crusher owns two national patent technology. It is mainly used in the industries of metallurgy and casting to crush barium or iron alloy, such as silicon iron, silica-calcium, silicon barium, silicon- calcium- barium and so on. 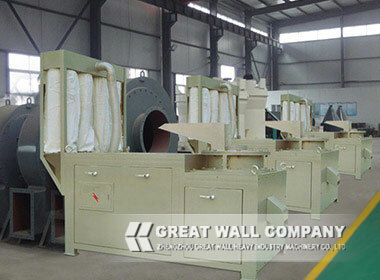 TWP efficient fine crusher is a newly developed fine crushing equipment for special materials, which is developed by our company.TWP efficient fine crusher adopts the most advanced crushing technology of both domestic and abroad with the features of unique structure, high efficiency and energy saving. 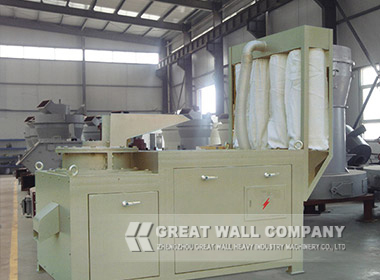 And TWP efficient fine crusher owns two national patent technology. It is mainly used in the industries of metallurgy and casting to crush barium or iron alloy, such as silicon iron, silicon-calcium, silicon barium, silicon- calcium- barium and so on.